I am totally in love with a wonderful man who is a Virgo sun and Virgo moon and we both have Libra as our venus–i think that means something but I’m not entirely sure. I haven’t allowed myself to fall deeply in love with anyone for 15 years, ever since a very charming libra broke my heart into little pieces. After a very, very, very, very long and frusturating relationship with an aquarius i decided it was better to risk a broken heart then feel the emptieness of a relationship with no emotional connection. Which brings me to my question. Six months ago I met and fell totally in love with a wonderful man. My only problem is that I have pangs of fear–fear of suffering a broken heart again, fear of abandonment, etc. This fear issue may be holding back our relationship from progressing to the next stage of commitment. Should I put my trust in him? Is it true that a Virgo man is a safe bet? 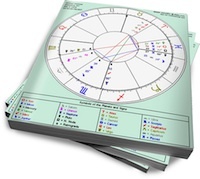 Your love planets (Venus and Mars) as well as your Moon are in relationship-oriented Libra, signifying a strong need to connect. However, this Libra stellium also contains Uranus and Pluto. These disruptive outer planets are in many ways beyond your control. Pluto’s destructive power may have broken your heart (Venus), while Uranus’ unpredictable need for independence may have resulted in your abandonment (Moon). 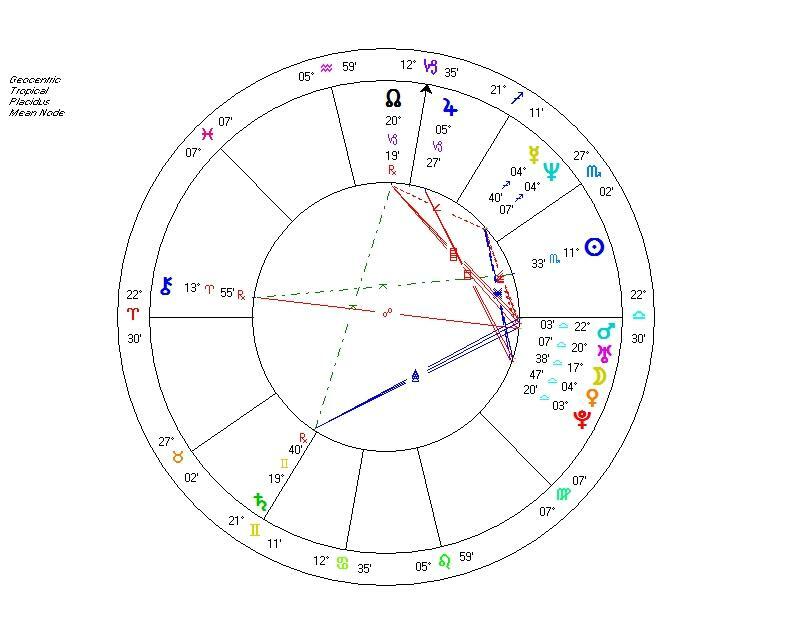 Since these Libra planets are in the Western hemisphere (or right side) of your chart, you may be at the mercy of other people — that is, you do not feel in control of your destiny. In some respects, these fears are just something you have to live with. Given the influence of Uranus and Pluto, you are unlikely to have what one would call a “stable” love life, as their purpose is to shake up and knock down anything that gets in their way. At best, you can consciously explore the depths of intimacy (Pluto-Venus) and embrace your impulsive need for freedom (Moon-Uranus-Mars). You won’t get over your fear until you accept and embrace your life-long transformational journey in the realm of partnership. Virgo men are safe bets as far as men go, but your boyfriend’s Sun sign means nothing until you are willing to look your terror in the eye. Comment below to provide Ali feedback. Related post: Is Scorpio man cheating on Virgo woman? G’luck, Cappy one. Tell us how that went. As to the article itself, it sounds like the Scorpio woman fell pretty hard for the Virgo, after a period of emotional hibernation. It is better to take this chance and see where that leads instead of living in fear of attachement. They must have quite splendid mutual understanding if she feels that way towards him. Hmmm, ur right. I’m a scorpio female fell in luv with a matured virgo man. He’s younger than me but very matured. He’s the one who approach to me & convince me that he’s so in luv with me. But I didn’t feel anything for him at that moment but now I feel so much for him. May b coz of star influence that’s why i feel so attached. I’ve never been attracted to younger guys in my life & still I’m with my partner, leo. This Virgo guy is 7yrs younger than me. As, for my partner, he abused me & insult me so many times. So, I really don’t feel for him anymore but wanted to b with the 2nd person so much. I think no matter what the sign is, communication is the key element in all types of relationships. Talk to your guy and there you’ll figure out if he is indeed a safe bet or not.